A high-quality, functional website is a must-have in virtually every business in the world. Your website might help your business in multiple ways. It might help you build credibility, advertise your business, attract new leads and bring in more sales in the long run. For a small business, a website is even more important. Small businesses usually operate with a small budget and little money for advertising and marketing. These businesses should take advantage of each opportunity to increase their exposure and enhance the visibility of their brand. A quality website can do that. 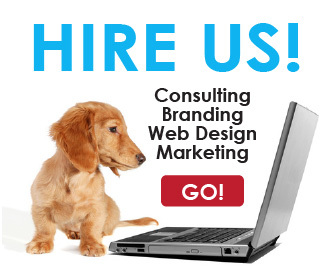 Sadly, some business owners build and design substandard websites. They create the website without having a clear strategy. Many entrepreneurs, wrongly, only care and emphasize visual elements such as design, colors, images and so forth. The fact of the matter is that your site is an asset. The better job you do with creating and managing your website the greater asset you create for your business. It should attract customers and help in the growth of your business. Of course, your website should be informative and it shouldn’t overburden the visitor with information. Additionally, it has to be appealing visually. However, visual aspects should not be the determinant factors in the process of web design. If your website consists of the best elements and features visual aspects should be the least of your worries. Would you like to make sure your small business is benefiting as much as possible from its web presence? Then make sure that it adheres to the components of the website checklist explained below. Your homepage is your best shot to grab someone’s attention. An excellent homepage gives visitors a bit of information about what your business is about. It’s the place where site visitors get information about who you are, what you really do and how you can assist them in solving their problems. If those visitors are interested in your product, they are likely to proceed to other pages and possibly get in touch with you or purchase your product. If they are not interested, they’re likely to close your page and move on to another site to browse. Create content that interests your customers and potential customers. Try to solve their problems and difficulties. Demonstrate to them how you can offer them some assistance to get solve their challenges. Your content should be to the point and straightforward. Your content needs to be educational in a way that will not waste your visitors’ time. Keep in mind; most online visitors are usually in a hurry. Add a picture. It’s important to include a photograph of your company staff or your group president somewhere on the homepage. This helps in creating customer confidence and trust among your potential clients. Photos are important in building credibility. Avoid stock photos if possible. Have a clear call to action. Where do the links on your homepage lead to? To get in touch with you for a free consultation? To purchase a product? Ensure your call to action is precise, brief and simple to find. Once your homepage is optimized for your business, then continue and improve the remaining areas of your website. The more emphasis you put on aligning your website with your overall business strategy the better your site will perform. Customers look for two things when doing business with small businesses: excellent customized service and friendly stress-free experience. More importantly, people want to know that they can trust your business. Your contact information loud and clear tells the world that you don’t want to hide from your customers. Show your contact details, telephone number, physical and postal address and a map guide all around your site. If they have an inquiry or need more information on a product, they can easily get your telephone number or email and contact you. If they want to come to your business, they can click on the map and find directions. For your website to have the highest impact, make sure your contact information is easily accessible from anywhere in your site. The time is taken by your web page to load plays a great role in your site’s prosperity. Website load times are also factored into search engine algorithms. This implies that sites that load slowly are most likely to be ranked lower than competitor’s website that loads faster. Sites that load slowly turn off users. Individuals are either visiting your website on their mobile devices, at workplaces, or while feeding their children. They’re mostly in a hurry and they want to access information as quickly as possible. If your site takes long to load, your customers are likely to opt for other sites that load faster. This is one thing that is easy to do, so make sure that you have the right hosting company for your business. Number four on our website checklist is domain registration information. The way your domain is registered influences your ranking in search engines. Yes, it does. Google considers domain registration information in its algorithm. This is used as a measure of business credibility. Ensure your domain contact information is the same as the contact information provided on your site, i.e., the business address and telephone number. It’s not recommended to keep your contact information private. Closely monitor your domain expiration date. If the expiration date is less than 3 years away, consider increasing it. If you allow the registration deadline to pass for a long period of time, search engines tend to believe you’re not dedicated to the domain or the website. This could influence your search engine rankings and performance. Maintain the same domain for the longest time possible. The life span of your domain is very important. This is because search engines consider sites that have been around for longer periods of time as more steady and reliable. Thus, they are ranked higher in searches. Regardless of the fact that your organization’s services are changing or may change, consider retaining the same domain. It requires a long time to develop a reputation with web search engines, and you would prefer not to lose that. You should visit your hosting account frequently and cross-check your domain registration information. In case you’re not certain how to do that, consult a website professional for expert help. 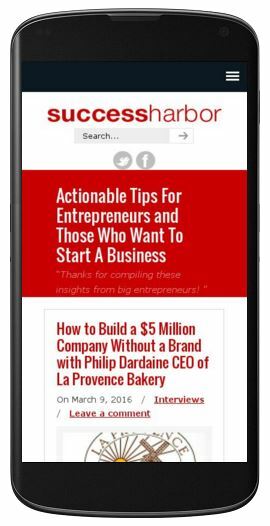 The way your site shows up on mobile devices is a great indicator of your online performance. Since mobile web usage has significantly grown over the years, search engines have started to consider it as a major factor when it comes to website rankings. If your website is visually appealing and operates well on mobile devices, it can play a significant role in pushing you up the search engine rankings. On the other hand, poor mobile functionality such as small fonts, low-quality images, or difficulties in navigating negatively affects the ranking of your site. The best approach to ensure your site displays properly across all gadgets is to settle on responsive configuration. This type of configuration adjusts your site to whatever screen size the client is using. Therefore, there are no issues that could affect their experience. 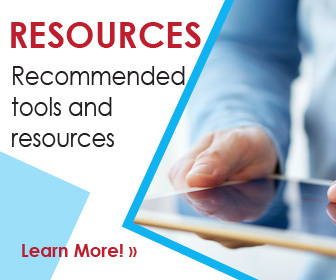 Google provides a number of free tools on its platform. 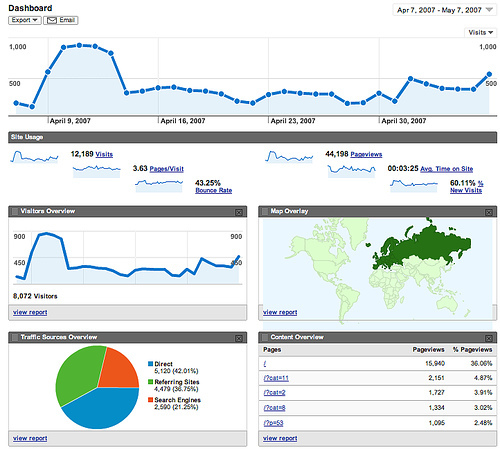 Google provides Google Analytics as a free tool. You as a small business owner should take advantage of this tool. With Google Analytics, you can be able to access a detailed understanding of the performance of your site. You can get crucial and accurate information regarding your target audience, your SEO efforts, your web pages and much more. How many guests visit your site each month, their location, and how they obtained information about you? What sites refer visitors to your site? Specific pages that are most visited and how much time visitors spend on them? Statistics of how your keywords and SEO phrases perform. Another of Google’s free tools is Google Webmasters Tool. This also a free and super useful tool. Google Webmasters Tool you can use to monitor the performance and well-being of your site as seen by Google. It provides information about your site’s loading times, errors or 404s and the performance of your site on mobile gadgets. It also provides ranking information of your keywords, information on sitemaps, robot .txt files and much more. A majority of business owners think you have to be a creative genius to start a blog. This is not at all true. Any business could benefit from a blog. 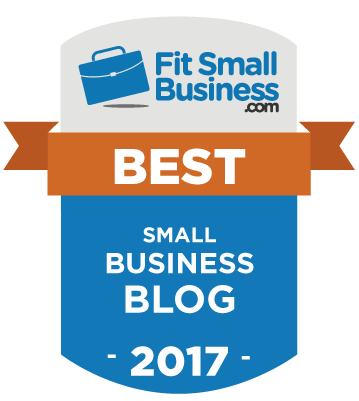 Effectively, a blog should be a crucial element of any small business’ advertising and marketing strategy – regardless of what your industry is. If you have clients willing to buy your products or pay for your services, you have a ready audience waiting for your posts. These posts can be best accessed from a blog. Blogs are designed to advise and inform your clients, guide them through their problems and give them value for using your product or service. They also build up your image as a compelling voice in your industry. They greatly impact SEO. Blogs provide you with more opportunities for using text content with the right keywords, more space for pictures, videos, and other website elements. Know your target market – You can’t start creating blog content until you have identified your target reader. Your blog topics should be about your audience, not about you. How does your blog help your audience? – Before you start writing, you should have a clear idea as to how it will help your target market. What questions do they have? What are their concerns? How can you help? Focus on solutions to problems. Do not focus on listing features. Nobody cares about how great you are or how great your product is. Focus on how you can provide solutions to problems. Get inspired. 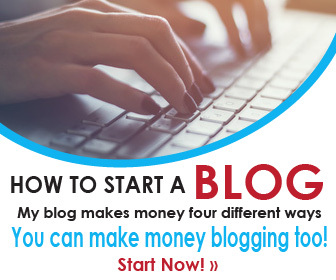 Look to successful blogs in your niche and outside of your niche. Learn from them. Read their blog posts. Check out their designs. You can learn from your competition. Check out the headlines they use. How long are their posts? What kind of images do they use? Do not copy your competition. Do better than they do. Visitors won’t just take your word for it. They want proof. Prospects want to know that other individuals or businesses have used your products or services and benefited from them. They need evidence. For this reason, a small business’ website should contain a segment with portfolios, case studies, and testimonials of previous clients. This gives potential customers insight into your organization’s performance. It should demonstrate to them precisely what you can do, what you’ve done, how you’ve helped other people and how their needs and issues can be addressed. These pages also improve your website’s SEO. The proof you provide about the quality of your service or product is new content. If you plan to use a past client’s experience case study, make sure that you share a link to their website or social pages. Also checkout our article “13 Ways To Build Credibility With Your Website“. Even if you have an offline business, you can still benefit from a strong online presence. If you want to build a successful business, you have to build up your visibility everywhere. Connect your website with a Google+ Business page. This is important, as Google favors websites that use Google+. Furthermore, it gives you another place to market your product, network with potential clients, and even get reviews. Create a Yelp listing. SEO performance is affected by Yelp and so does how customers view your company. Yelp is a popular and trusted brand name. Google displays a business’ Yelp listing before displaying their actual domain. Domains with high ratings attract customer confidence. This way customers are more likely to work with your business in future. Join social media platforms. Ensure that your business has a Facebook or Twitter page. These pages can be used to interact with influencers and customers in your industry. Company news and reports can be shared through such platforms. Sales and special offers should also be posted on these pages. This way your website is likely to be more visible and your SEO could perform better. If you want a great website for your small business, the above website checklist is crucial. It will help you draw more traffic to your site, attract more customers and increase your revenue.